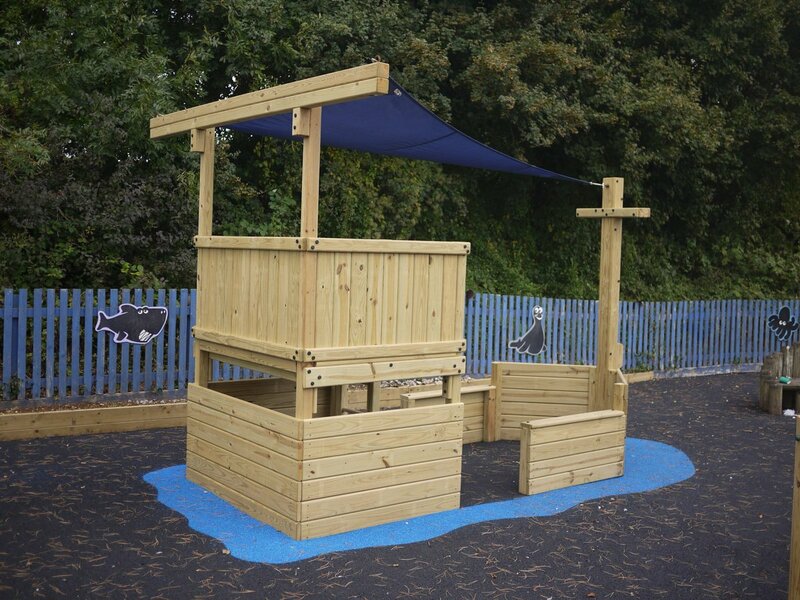 Whether your requirements are for an outside classroom to take a full class of children, an outdoor stage, a shelter to keep parents or children from the worst of the weather, a playhouse or something in between – we will be able to produce a structure for you. Everyone’s requirements are slightly different, so we tend to design and build individual playground shelters to match each customer’s demands. On this page you’ll find just some examples of what we have done – but if you don’t see what you want, please ask. We’re sure we can make it for you. We have both simple, rectangular shelters or stylish, elaborate hexagonal ones in a variety of sizes and specifications. They have many uses in school playgrounds and their flexibility means they can perform many functions. This makes them ideal for locations where space is limited. Whatever you choose, you can be sure that the structure will be built from solid, machined timber which is pressure treated for long life. See details by clicking on the thumbnails above . Or if you want something smaller, click here for our playhouses.